London, in the reign of Charles II. Lucy Campion is a servant in the household of a local magistrate. Blessed with a sharp intelligence, Lucy is thrust headfirst into trouble when her fellow servant Bessie goes missing. Whilst Bessie is suspected of robbing the household, things soon take an even more serious turn when Bessie is found murdered, in a manner similar to other recent deaths. Determined to bring justice for Bessie, and to clear someone close to her of the crimes, Lucy sets out to find the truth. But with a brutal killer on the loose and an ongoing conflict with the magistrate’s son, how can a serving girl possible find the truth? And that’s not to mention one or two rather devastating events that are about to hit London… it is 1665 after all. 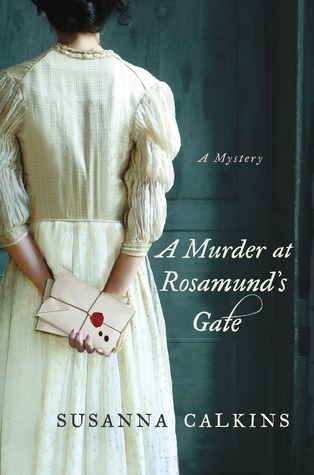 This is the debut novel of Susanna Calkins, and fits nicely into a gap in my Historical Mystery Timeline. The reign of the Stuarts – especially post-Civil War – is a bit of a blank spot for me – while the English Civil War is a common topic at schools, the Restoration of the monarchy tends to get sped through quite quickly, or completely ignored. But this isn’t a history lesson – and, indeed, nor is the novel. This is Lucy’s tale – so what sort of a tale is it? Rather good, as it happens. There are a number of traps that it could have fallen into that Calkins rather neatly sidesteps. The main one is in the “Upstairs, Downstairs” relationship between Lucy and the magistrate’s son, Adam. Anyone with two brain cells can see where the general direction of this part of the plot is going but the author does a very good job of a) making it convincing and b) not making it predictable. Indeed, the relationships within the whole household is very well-presented, with a clever use of certain events to bring everything together. Much more convincing than, say, Downton bloody Abbey. Of course, this is a mystery blog, so how’s the mystery? Well, I think the villain of the piece is pretty well hidden. There’s more than a few candidates and, while the clueing isn’t of the level of the Golden Age – as is often the case with even my favourite historical mysteries – there’s probably enough there to indicate the murderer to the alert armchair sleuth. Overall, this is a refreshing entry into the genre of historical fiction. There are many strands to the story, all well-balanced, with the mystery never far from the narrative. It was an interesting choice for the author to feature both of the well-known historical events of the period in her first book, but that leaves the door open for learning something new about the era in the next book in the series – and there is at least one more on the way. And if the reader of this is a little worried that the author has chosen the most obvious things that occurred in 1665-6, these events are in the background, as opposed to the persecution of the Quakers (which I was unaware of) which is much more important to the story. A very impressive first novel and I look forward to reading more from the author. Highly recommended. I have pinned this book! I think I would really enjoy it. Thanks! Sounds interesting. Your review is very convincing. I will be on the lookout for it.